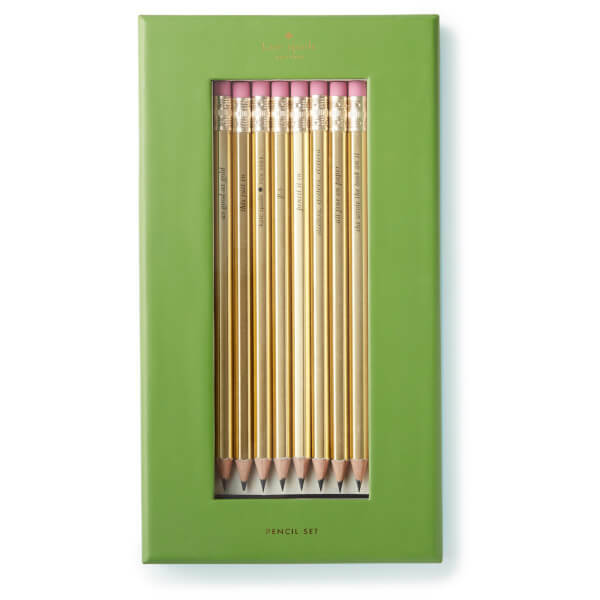 Treat yourself or a stationery collector to the Kate Spade Pencil Set. Presented in a branded gift box, the set of five mechanical pencils are adorned with cream and gold stripes and are perfect for doodling, scribbling and jotting. With an eraser on the end of each pencil, any Sudoku, word search or crossword blunders can be quickly remedied.